Can they speed up big data analysis? 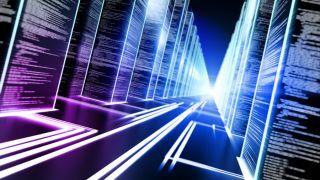 HP has announced a new cloud service for SAP's HANA in-memory database designed to help organisations analyse big data in the cloud. Named HP As-a-Service for SAP HANA, it bundles the SAP HANA software licence along with hardware and ongoing management into a solution paid for on a monthly basis, aiming to lower total cost of ownership for customers. It's powered by HP AppSystem for SAP HANA, which is SAP certified. In traditional business intelligence, the speed of analytics is limited when large quantities of data is stored on slower mechcanical disk. However, by using in-memory computing, which places data in the main memory of servers, HP says that businesses can speed up analysis and arrive at decisions faster. The solution runs in an HP Managed Cloud environment, either as a managed virtual private cloud or a managed private cloud in one HP's data centre facilities. HP is also offering options for customers moving to SAP's HANA platform in the form of its five step Migration Factory process. SAP said the new solution falls in line with its HANA Enterprise Cloud strategy, with the company looking to offer mission-critical end-to-end managed cloud services to its customers through its and its partners. HP As-a-Service will be available worldwide with an initial rollout in Australia and New Zealand, with pricing dependant on users' needs. TRPro has contacted HP on when the solution will be available to businesses in the UK.